Looks like MediaTek has decided to step up its game in the mobile SoC market. In the market where Qualcomm’s seeing its dominance being threatened by the likes of Samsung with the latter’s 14 nm Exynos 7420 debuted with the Galaxy S6 and Galaxy S6 Edge launched a week back, MediaTek’s launched the industry’s first Cortex A72 processor which could help the company’s future significantly. 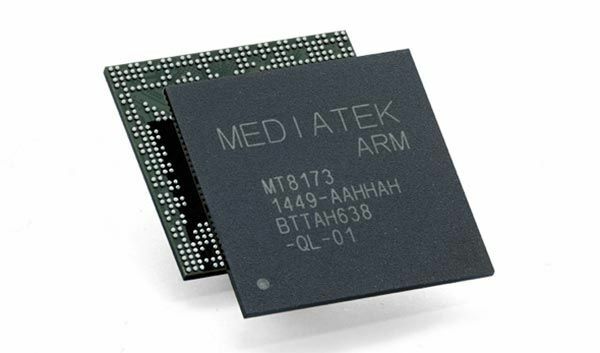 ARM’s Cortex A72 core, which is the company’s highest performance chip right now has been debuted with the MediaTek MT8173. The MT8173 will now provide you with up to 2.4 GHz of computing power in sets of two A72 and two A53 cores. It also provides up to six times the improved performance of the company’s MT8125 launched in 2013. The company’s Corepilot technology on the processor also include support for OpenCL CPU and GPU and the MT8173 is able to also provide 120 GHz of screen refresh rates on devices and supports camera resolution of up to 20 MP with dynamic real beauty and LOMO effect. MediaTek also claims that the MT8173 will be able to provide a 30% increase in memory performance that will allow for much better performance for video editing apps, multitasking and other performance intensive apps that might be run on the processor. Cortex A72 hitting the mobile processor market is more good news for consumers all around and indicates that things are moving at a much faster pace than initially expected. After Samsung launched the 14 nm Exynos this month, MediaTek’s announcement means that performance is one factors that users won’t have to worry about in future devices. What’s left to see is how Qualcomm responds, particularly with its custom made cores on the Snapdragon 820 at the MWC earlier. Stay tuned, we’ll keep you updated and let us know what you think in the comments section.